When Ben mentioned to me that he though we should do posts where we outline what we would buy if we had no clothes at all, all while keeping it minimal, I thought it wouldn’t be too difficult. Once I sat down to actually write it, I realized the challenge, as we didn’t limit it to what we currently own, but what we thought would be the best pieces. This list is intended to be a good base wardrobe, one that could take me though a year of typical wear, excluding one-off stuff (like camping gear, dress shoes that only get worn once or twice per year, etc.). Living in a cold climate, layers are important for me, so you will see warmer clothes make up a good portion of my list. I tried to balance the list so laundry didn’t have to be an everyday thing, but realistically, I prefer to do my laundry once a week. UNIQLO AIRism Boxer Briefs, 14 pairs. 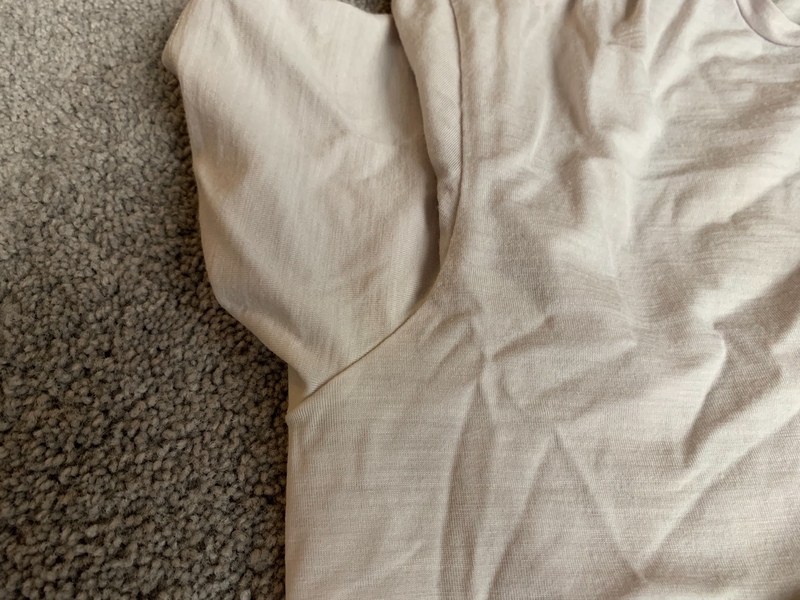 I’ve recently moved over to favoring the AIRism boxer briefs as they are lighter than the ExOfficio ones I used to favor. While I still have both, I’d just go with the AIRism. They pack down really small and dry very fast from being so light. And an added bonus, they are less than $10 and can often be found on sale. Icebreaker Anatomica Short Sleeve V-Neck, 1. I wear this shirt in the “Snow” (off white) color as an undershirt. 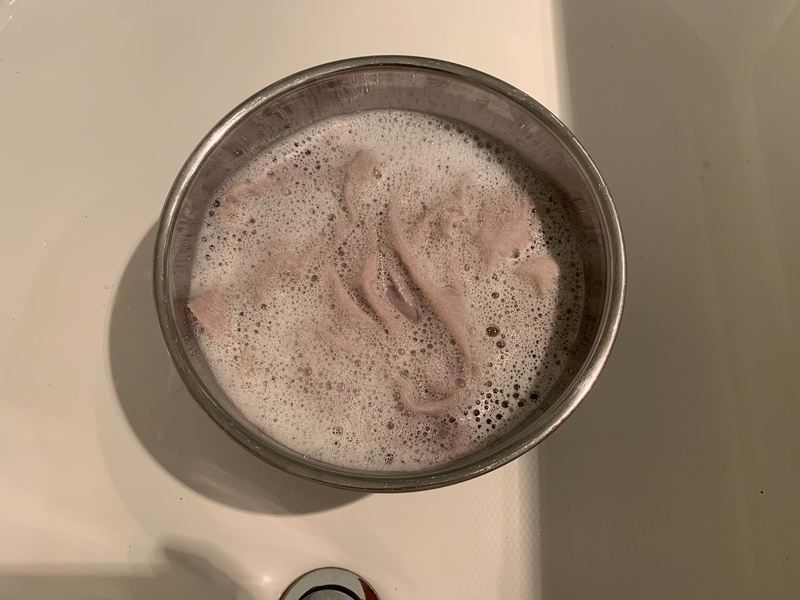 I can get a couple days out of it and it dries reasonably quickly if it needs to be hand washed. 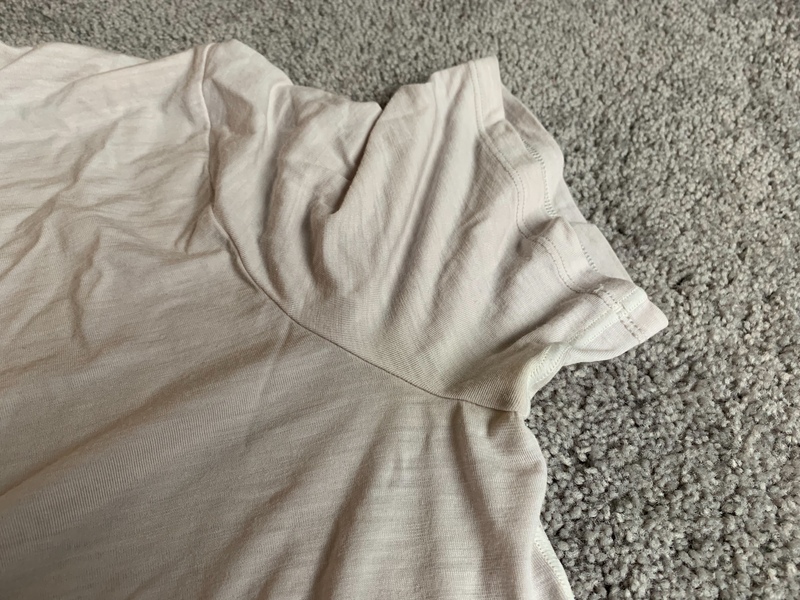 UNIQLO AIRism Short Sleeve V-Neck, 1. 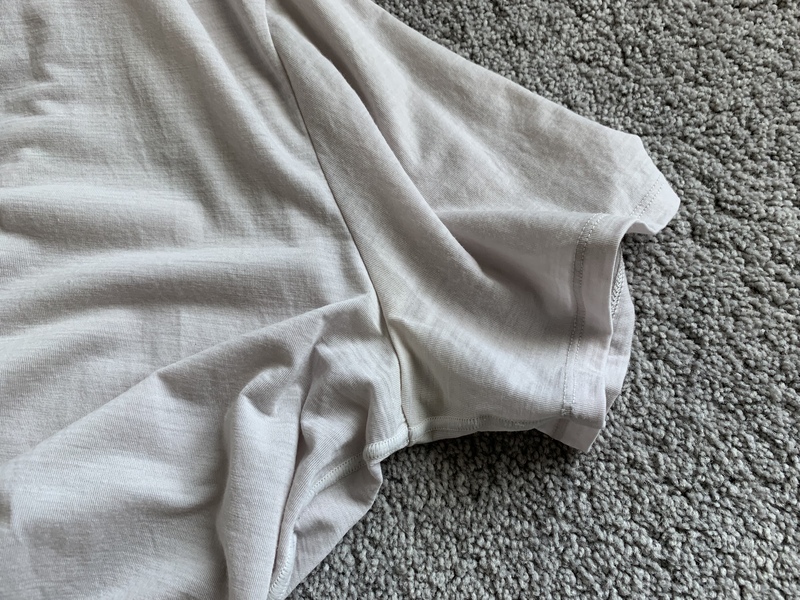 I wear this in the “Light Grey” color as an undershirt (the grey does a better job hiding under a light colored shirt than white). Again, packs down very small and dries quickly. Definitely only one wear, but the price can’t be beat (less than $10 and often on sale). Darn Tough Solid Crew Light (#1617), 3 pairs, Charcoal & Navy. These are my dress socks for work and dressing up. I can reliably get two days out of a pair (merino blend), so they are great for travel. While they are durable, these seem to wear out the fastest of my socks, hence the need for a backup pair. Darn Tough Hiker Micro Crew Cushion (#1466), 3 pairs. These are my casual cool(er) weather socks. Again, I can reliably get two days out of a pair (merino blend) — I only took three pairs on a two week camping trip. Darn Tough Tactical No Show Light (#T4037), 3 pairs. These are my summer and workout socks. The Vertex style used to come in all-black, but doesn’t anymore, so I’d go with these in the future. I’m able to get two days or 3+ workouts out of these socks (merino blend). They are the most durable light socks I’ve had, but they do wear out so I like to have a backup pair. Patagonia Capilene Midweight Bottoms & Zip-Neck, 1 each. This is my favorite baselayer. Yes, it is synthetic, but I think it provides an excellent value. Merrell Trail Glove 4. These are my go-to sneakers, from everyday to workout. I had the Trail Glove 3 and wore them for a few years and replaced them with these when they wore out. Allen Edmonds Higgins Mill Boot, Brown. I’ve had these boots for a year now and they are very comfortable. The Danite sole makes them safe on wet floors. They straddle casual and business casual for me. Not sure these are the exact replacement I’d pick (especially not at full price), but I like that they are at home in many situations. Outlier Slim Dungarees, 1 pair, Darkindigo. These are my favorite casual pants. They are as comfortable as sweat pants, but look as good or better than jeans. I currently have them in “Gray Shadow” (which is a blue-green color to me), but I think “Darkindigo” is the most versatile color. 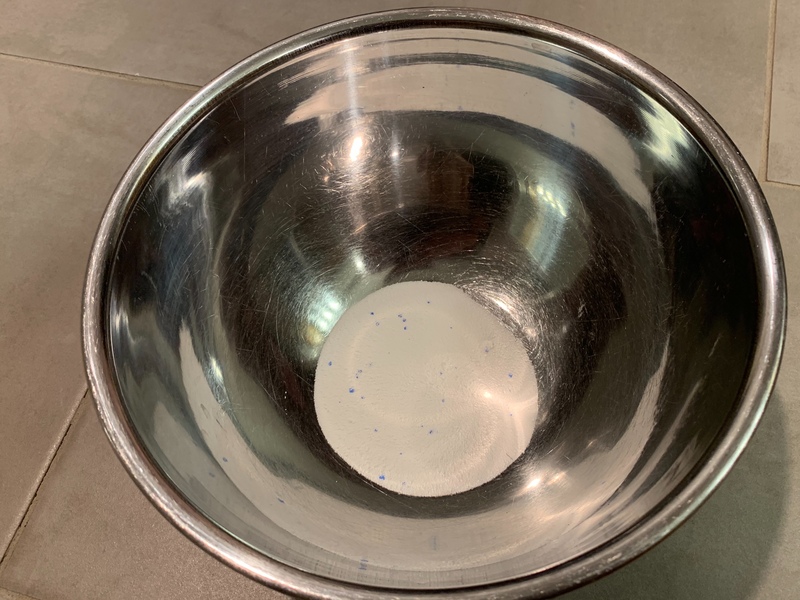 I find that the main reason I wash these is because they start to bag out. I would, however, have to consider the Strong Dungarees as well, as I’ve heard great things (and briefly owned a pair myself). Although, I wouldn’t need both as they fill the same need. 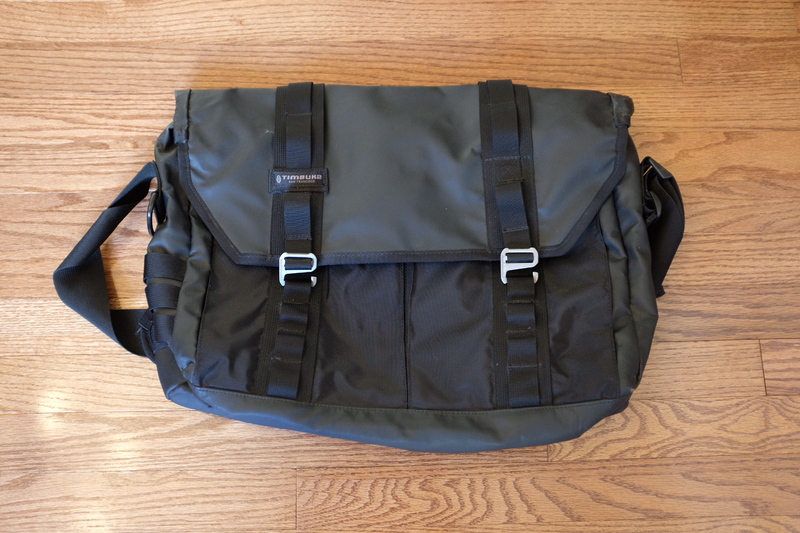 Outlier Futureworks, 1 pair, Phantom Grey or Charcoal Grey. As we’ve said many times, you can’t beat these for business casual pants, especially at the price point of $140. Bluffworks Gramercy Pants, 1 pair, Blue Hour. When I want to look dressier, these are the pants I go to. They still perform well and are very comfortable, but they look closer to wool slacks. Outlier New Way Shorts, 1 pair, Navy. These shorts are great, they perform well but also look good at a restaurant. I currently have the Longs, but think I’d go for the regular length the next time. Myles Momentum Short 2.0, 1 pair, grey. 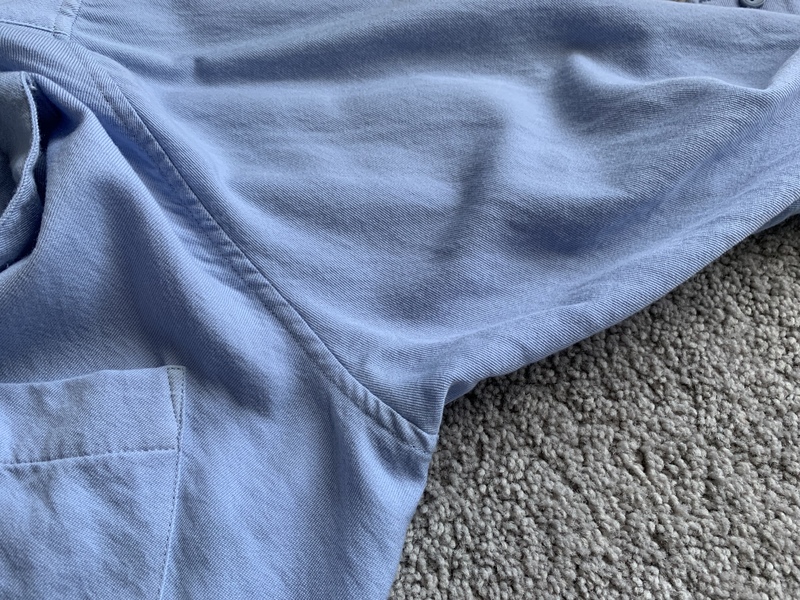 While I love my Patagonia Baggies Long, these shorts keep the functionality as a workout short, but can double as a short for everyday wear. They can easily go from a workout to a coffee shop. Patagonia Quandary Pant, 1 pair. I currently wear the Outdoor Research Ferrosi Pant for outdoor activities, but would pick these to replace them. I haven’t found the Ferrosi fabric to be as durable as I like (I have a few snags). 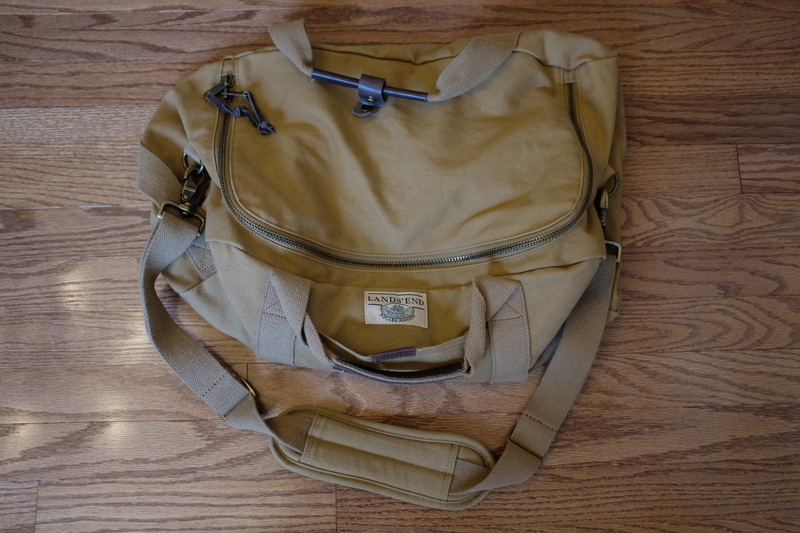 I’ve tried the GORUCK offerings, but found the pockets to be lacking. Synthetic Sweat Pants, 1 pair. Have to have something comfortable and warm to lounge in during the winter. Not super picky on these, but do appreciate my Myles Apparel Momentum Pant, although I’m not sure they are worth the price for lounging. Woo&Prince Crew Neck, 2. 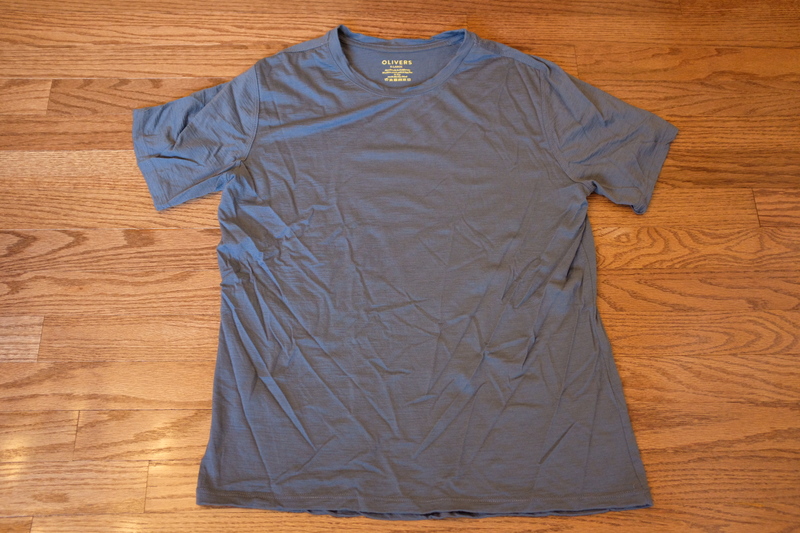 My current favorite (nice) merino t-shirt is the Outdoor Voices Merino T-Shirt. I think I’d give the Wool&Prince shirt a shot next as I like that it is nylon core-spun merino, which gives more durability. Y Athletics SilverAir Merino Crew Neck, 2. 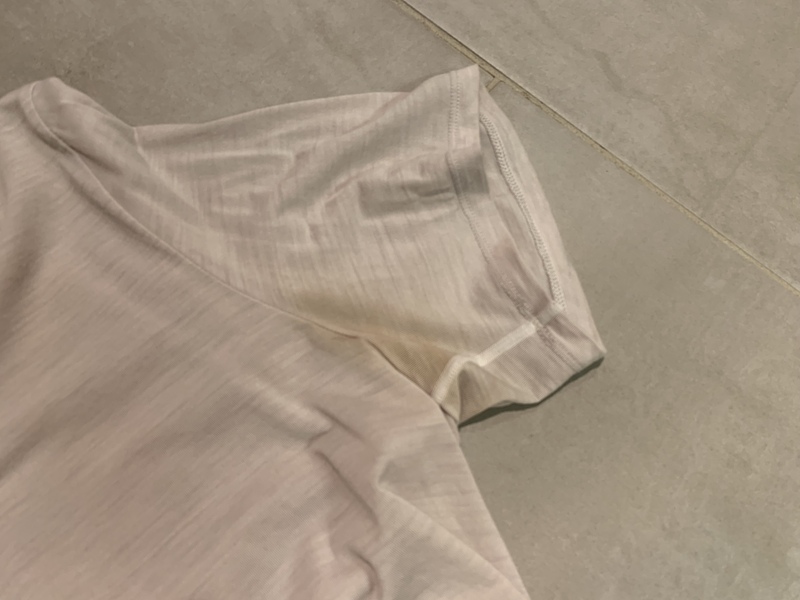 Still my favorite workout shirt that can easily double as a casual t. The nylon face makes it more durable (I still managed to get pilling with a GORUCK bag while hiking though) while keeping the comfort of merino against your skin. 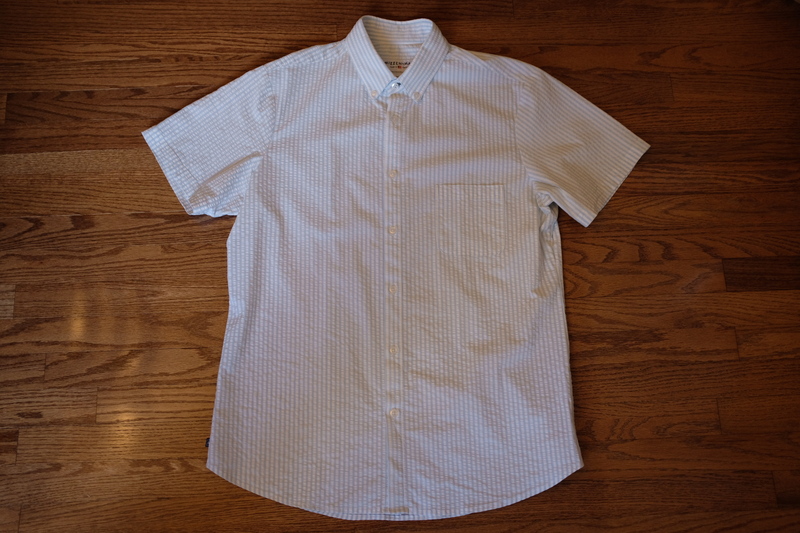 Wool&Prince Button-Down, 2. My current favorite is the Burgundy Oxford. 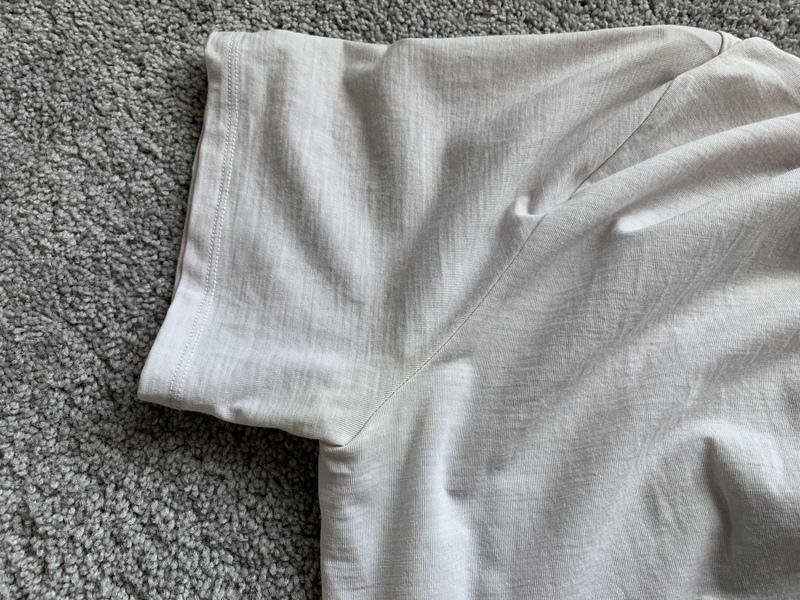 The thicker fabric is beautiful and does a better job at resisting wrinkles as compared to the lighter fabric. I’d probably pick up that and one in light blue or grey. 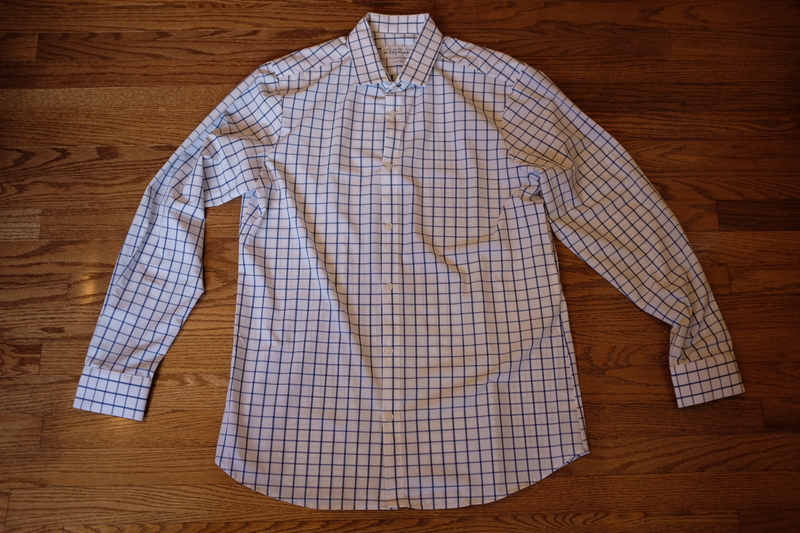 Bluffworks Meridian Dress Shirt, 1, Peak Blue Tattersall. I think this is my favorite dress shirt. 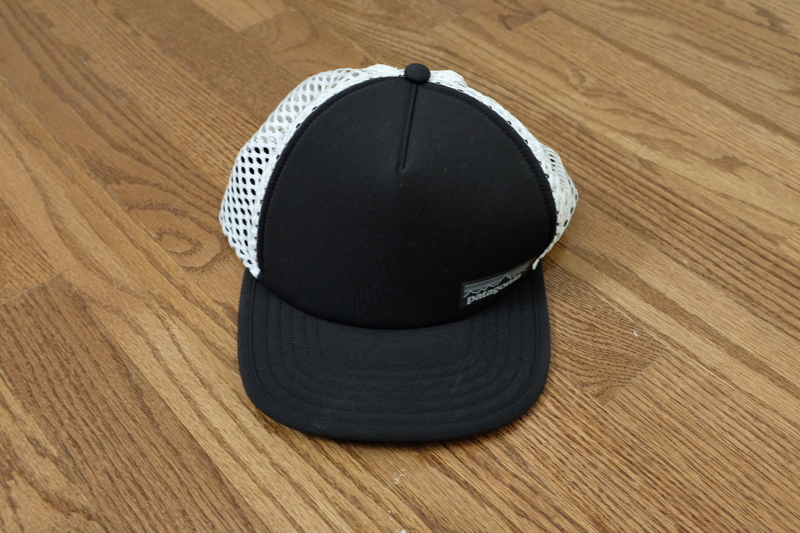 It looks normal and is comfortable, all while remaining wrinkle resistant and durable. While it is only good for one wear, it dries quickly. 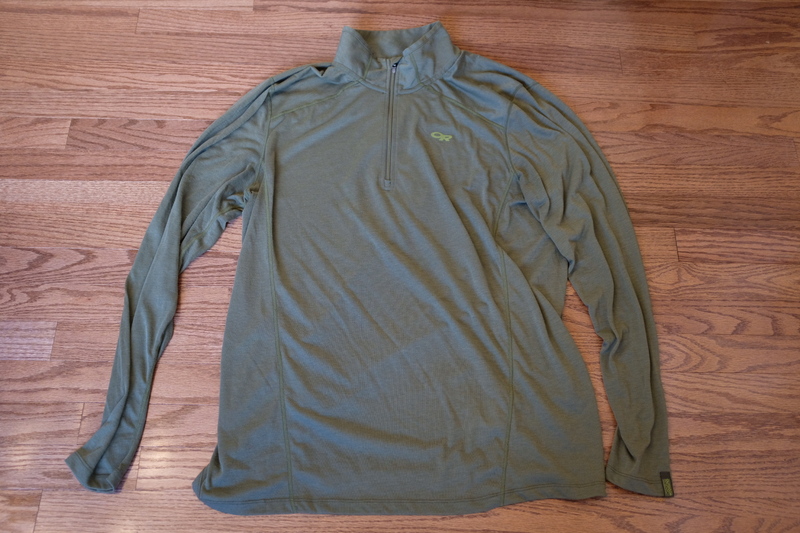 Patagonia R1 Pullover, 1. 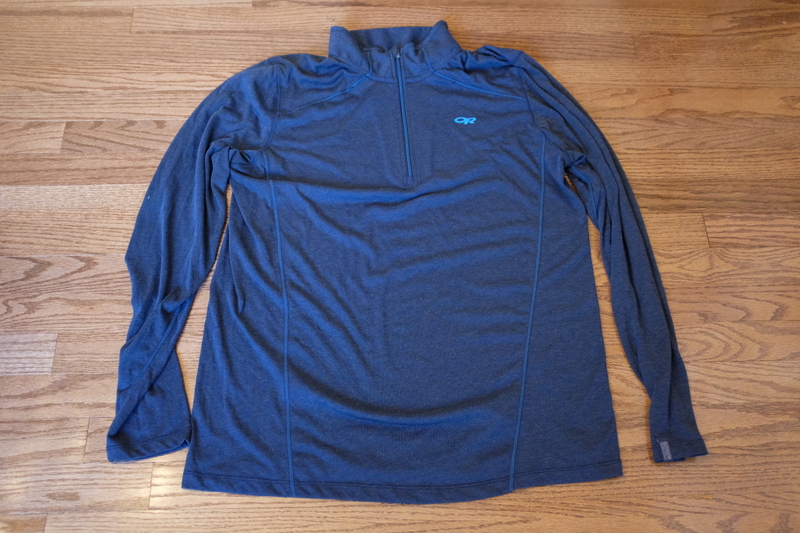 This pulls double duty as a top and an insulating layer for me. It looks nice enough to be a casual sweater when it’s cold and it also is surprisingly warm for its thickness. It has become a key part of my cool weather wardrobe. Arc’teryx Proton LT. This would replace my current down insulation layer. While down is great for packability and warmth to weight ratio, it falls short in wet conditions. And by wet conditions, I don’t just mean precipitation, but at times when you are putting out a lot of heat. The Proton LT is very breathable and has continuous synthetic insulation (which is supposed to be the most durable). 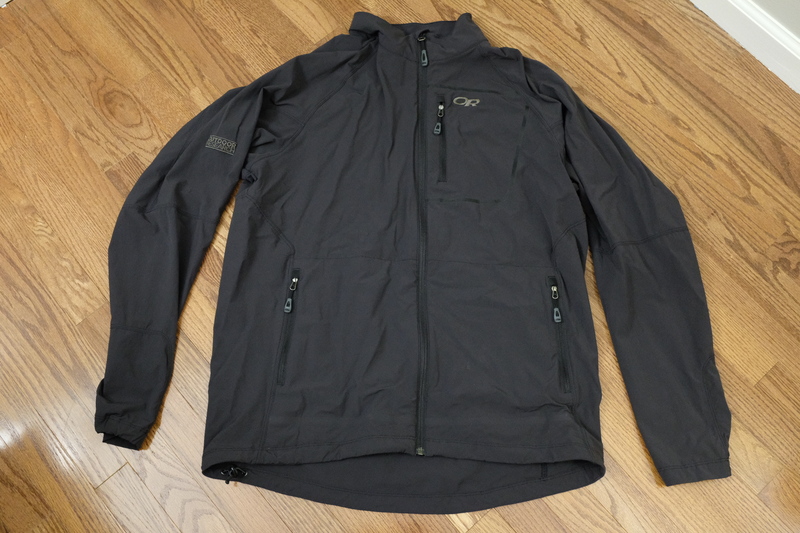 I also find the cut of Arc’teryx jackets to be fairly stylish (at least for a technical forward jacket). Patagonia Torrentshell. 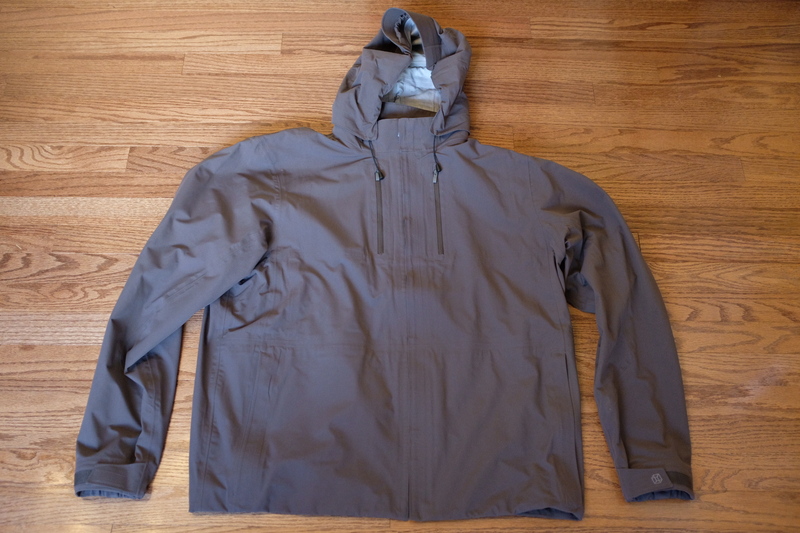 While I love the hood on my Outdoor Research Helium II, the lack of pockets drives me crazy sometimes. This jacket remains well priced and packable, while adding pockets and pit zips. This also can double as a windbreaker. Wool&Prince Blazer. While the fabric has changed, I have been so impressed with the one I have, I know this would be the one to get. 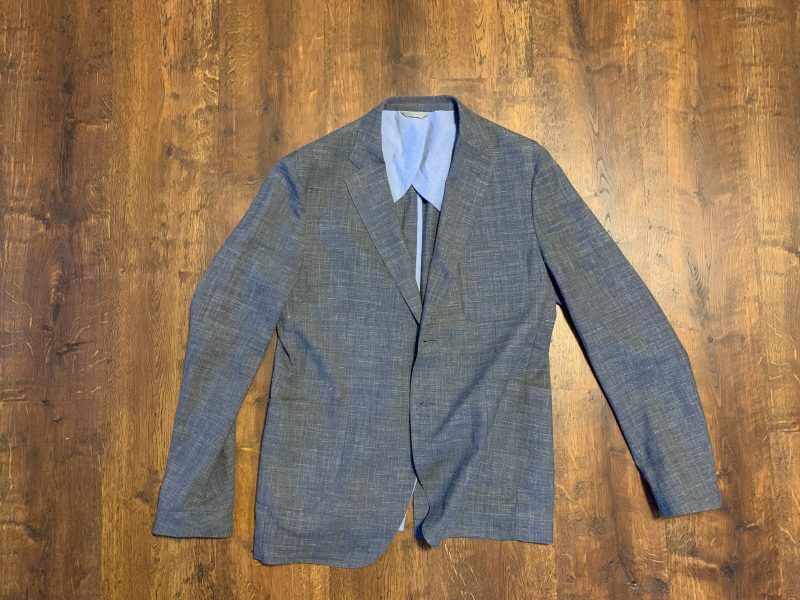 It is still half-lined, so it continues to have a great unstructured look and breaths much better than a fully lined blazer. 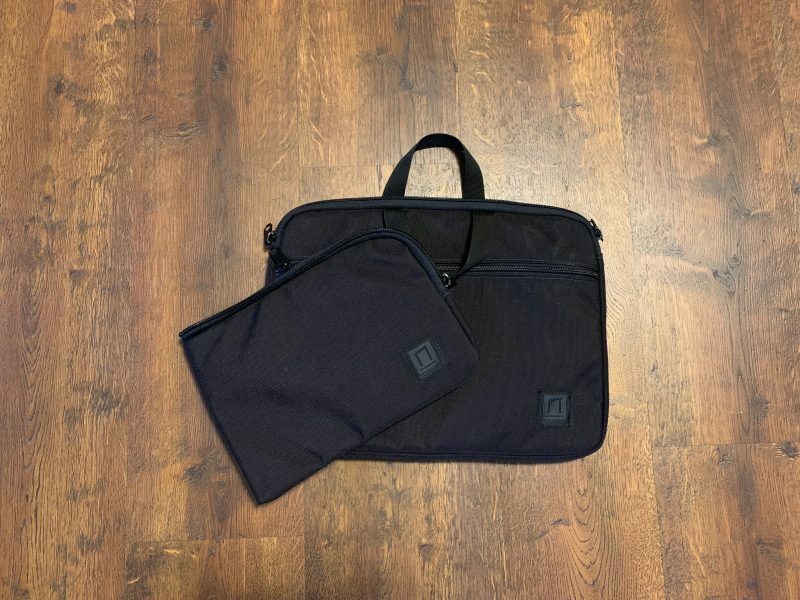 We went through our closets to find some great clothing and bags for you, and are listing them here at some great prices. All price include shipping to the lower 48 via USPS, they also include all PayPal fees. All purchases need to be made via PayPal goods and services. If you are buying more than one item from the same person (Ben or Steve) we will adjust the prices to account for the shipping savings. If you see something you like, send us an email to confirm availability. Selling because it has gotten too big. If you are looking for a waterproof jacket that performs well and looks good, this is it, as long as you are willing to put up with the bulk. 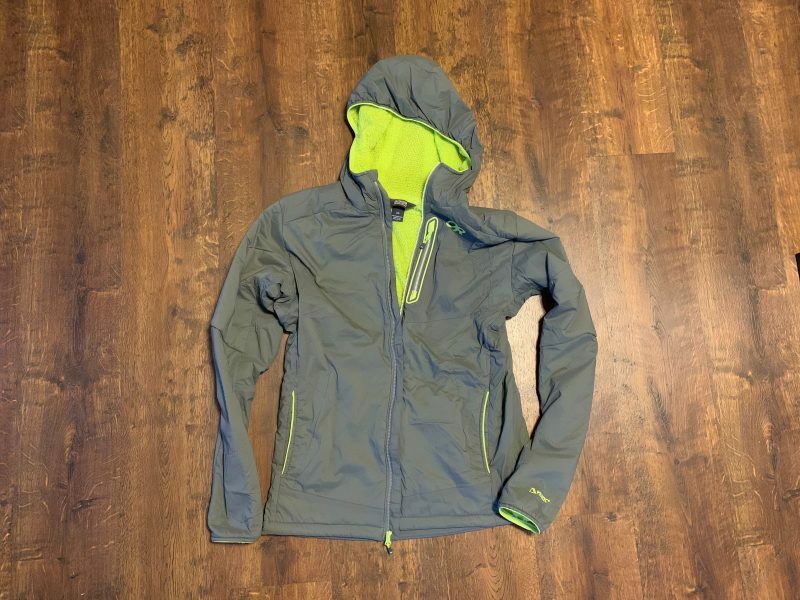 Great jacket, selling because I have replaced it with my Myles Elements Jacket. 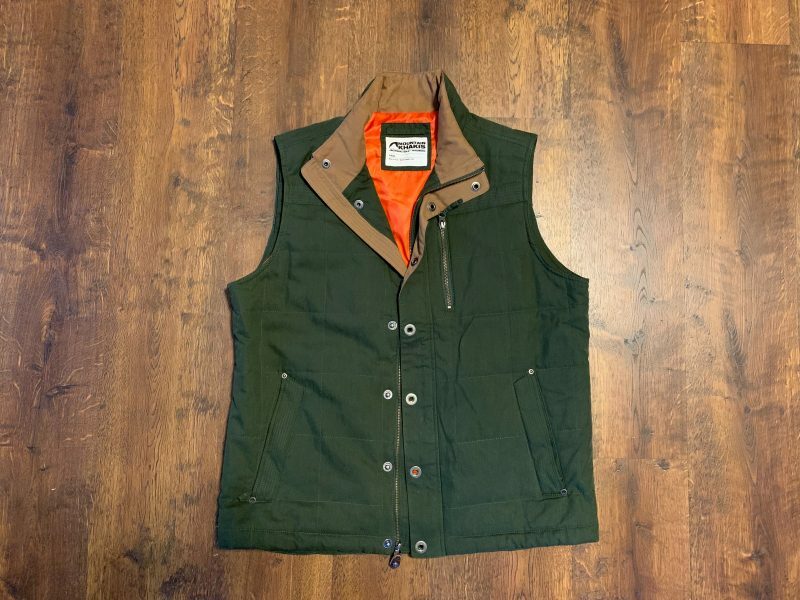 Great vest, but is a bit too large for me. Love the materials, and it is warm enough. In great condition. MK no longer makes it in this style. 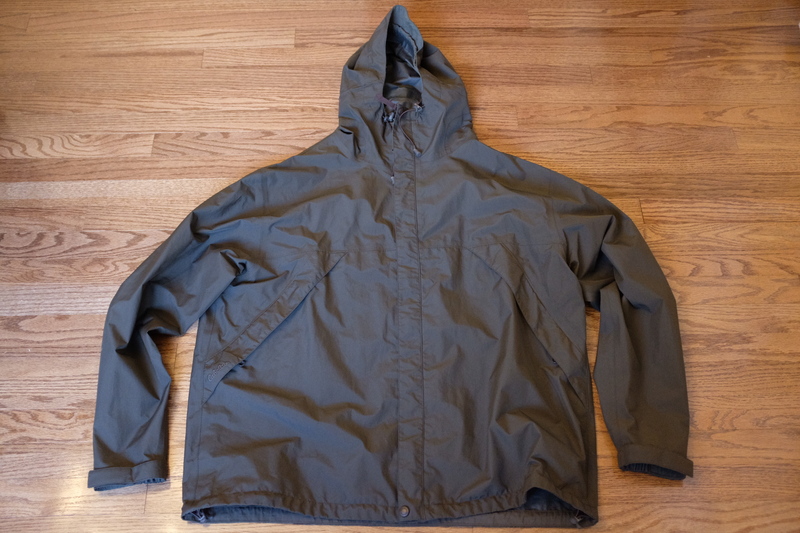 Like new condition, selling as I have another jacket that serves the same purpose. Hard to choose between which to keep. This is a fantastic jacket. I simply do not wear this enough to keep it, really nice jacket though. Always get compliments on it. No issues I can see anywhere. My mistake is your gain. These are a half size too large for my feet, but I didn’t realize that until I rucked in them. Aesthetically they look perfect. There’s some light debris in the treads that I cannot scrub out. I rucked 3.2 miles in them, and then cleaned them. I don’t feel right trying to return them. 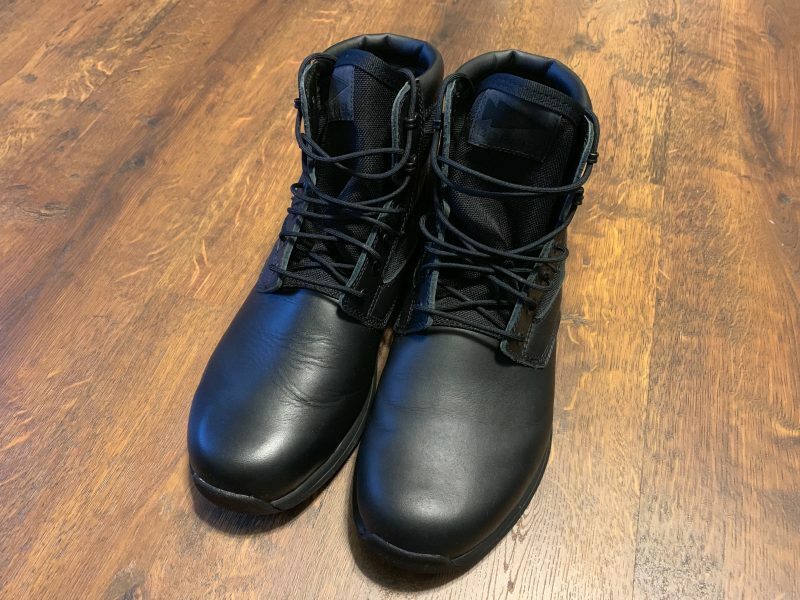 My short review: if you do a lot of walking and want comfort, these are great boots. I bought another pair in 11 that I am still testing, but 20+ miles in, I do like them. Selling because it’s not my style. Like new, just note that there are some loose threads around the button holes (how it came from M+M). Selling because I have two. Only washed (cold and hang dry) once or twice. Selling because it is too small. Otherwise, a great shirt. 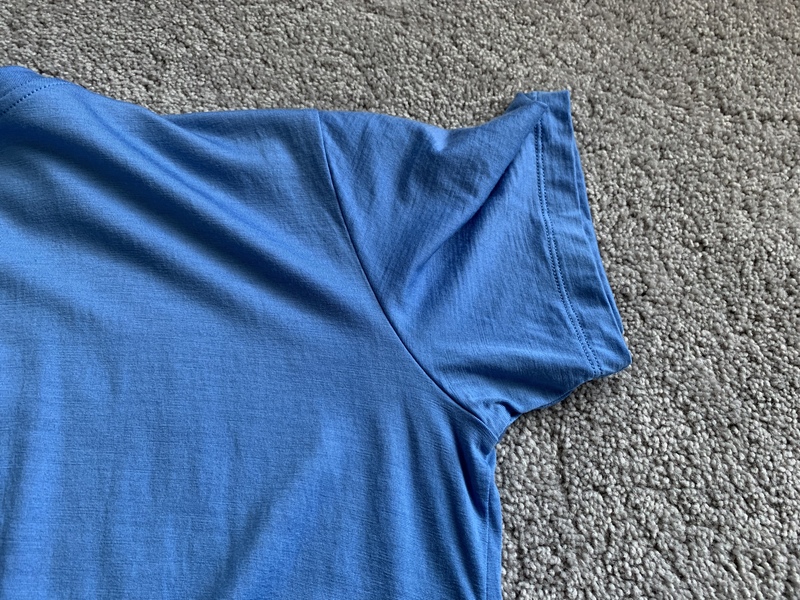 It is a size XL, but apparently there was a batch of shirts that were cut small, so this probably fits more like a L.
Selling because this doesn’t fit my head. Brand new, just tried on, but I removed the tags before I decided it doesn’t fit. Selling because I don’t wear it anymore. Pilling on bottom of front, sides, and sleeves. Selling because I don’t wear it anymore. Minimal, if any pilling. Fully taped Gore-Tex rain jacket. 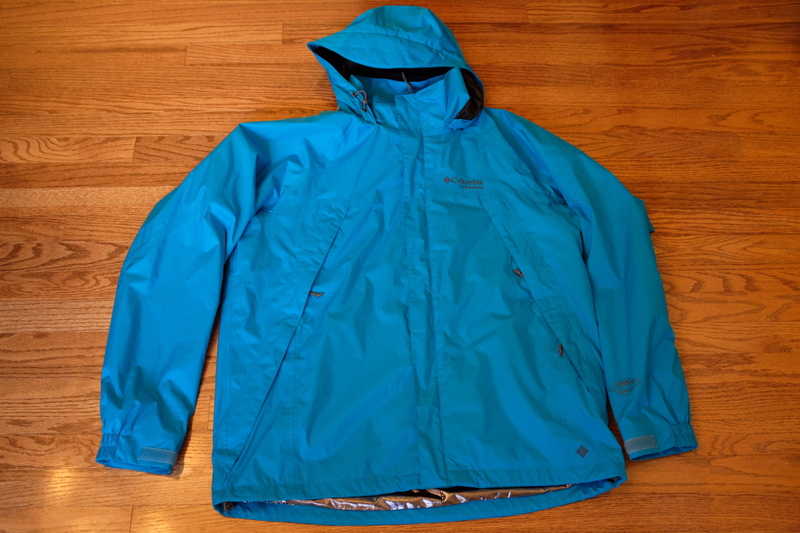 Selling because it is too big and I’ve replaced it with my Outdoor Research Helium II Jacket. Front pockets have mesh liners to help with ventilation if needed. Included stuff sack (non-integral). I purchased this shell at the Columbia outlet and only wore it a few times. Now it’s too big. Based on the style number (1384921), I’m guessing it’s a 2013 model. It is made with Omni-Tech waterproof, breathable fabric and is lined with metallic Omni-Heat. 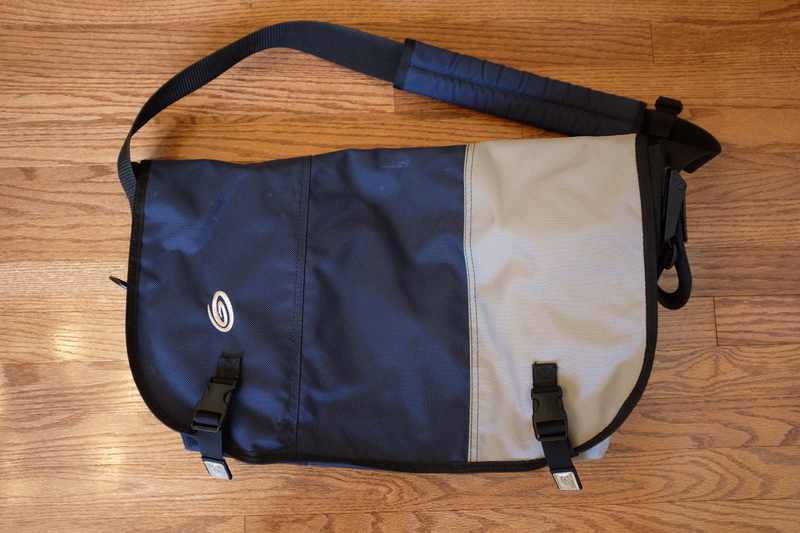 It supports the Columbia interchange system and has a built in stuff-sack. On the front, two zippers open mesh vents in the Omni-Heat liner to help with ventilation. The hood rolls up into the collar. Looks like new, I really don’t use it. 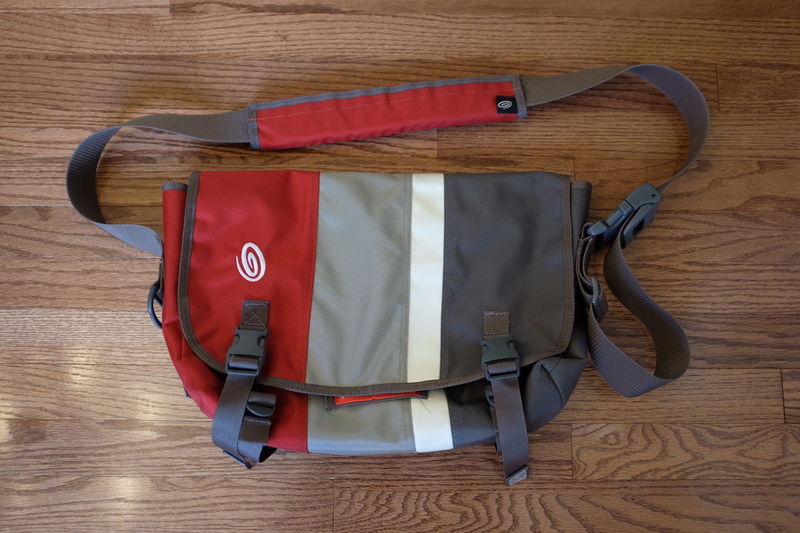 Great bag, and comes with the A5 pouch thing which is even better than the bag itself. Selling because I don’t use it anymore. 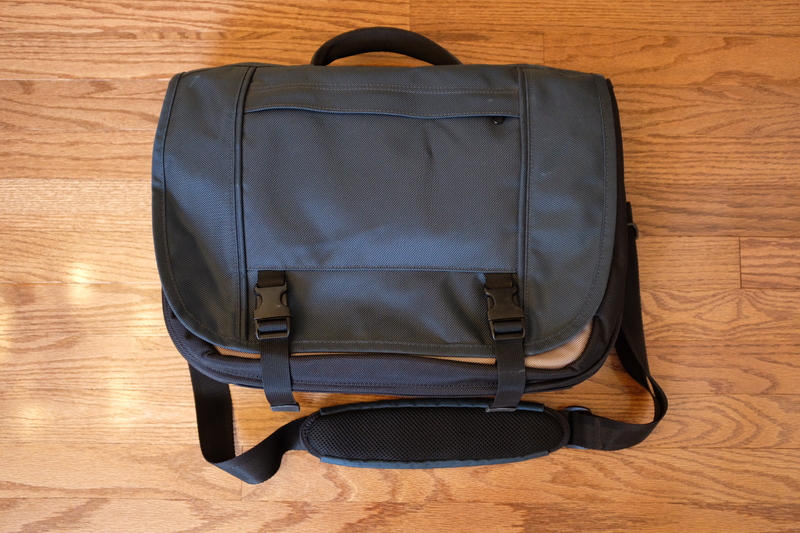 Fits 15” laptop. Some wear on the rubberized coating on the bottom corners. Selling because I don’t use it anymore. Size L.
Selling because I don’t use it anymore. 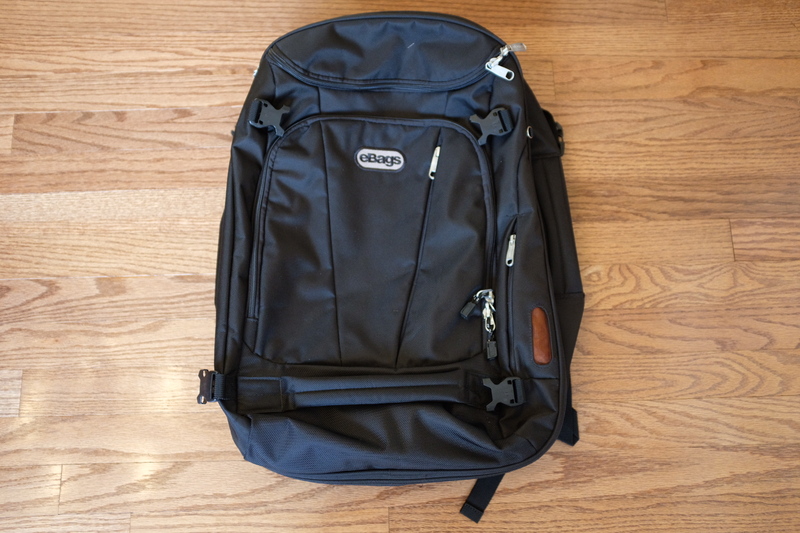 Size S (fits a 13” MacBook Air). White stripe has indigo staining on the back. Selling because I don’t use it anymore. In great shape, just some marks on the outside from traveling. 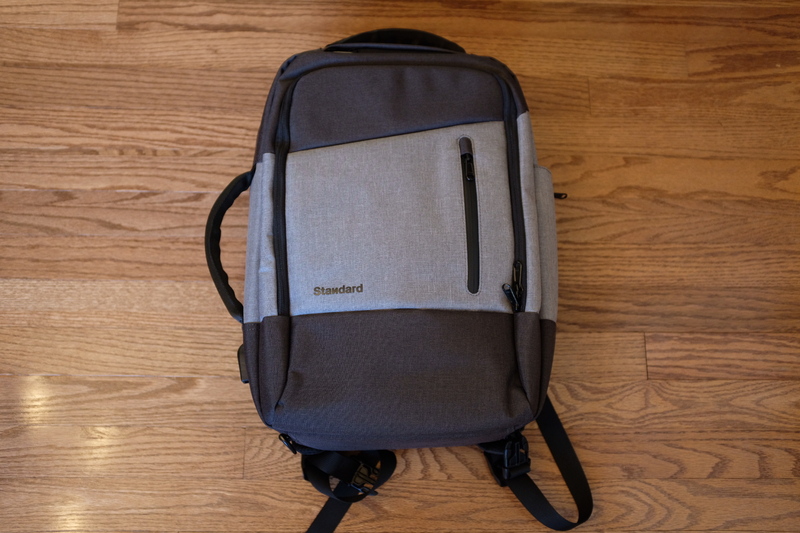 Can’t find the shoulder strap. Selling because I don’t use it anymore. Did have coffee spilled on it, but I got it clean. Can’t find the shoulder strap, but the rain cover is included. 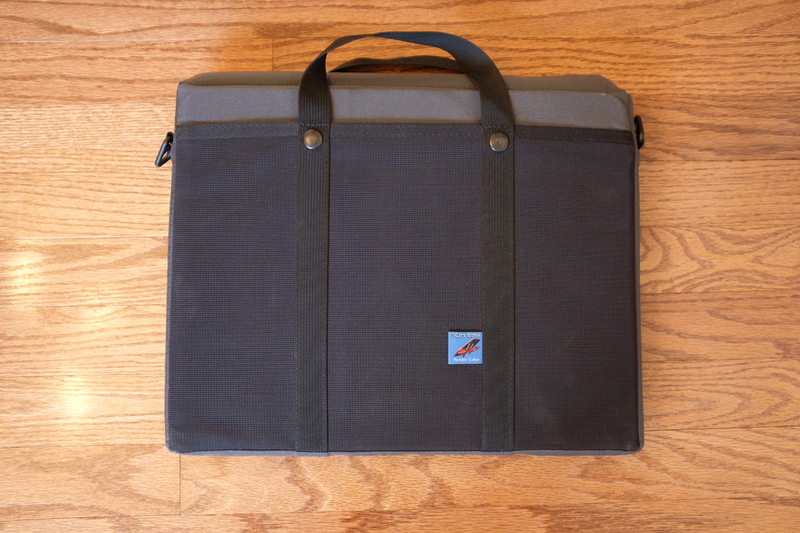 Selling because I don’t use it anymore (it was for my original Intel 15” MacBook Pro).